Watching your house go up in flames is one of the worst nightmares you may ever experience. The bad news is that dealing with the aftermath of a fire is equally dreadful. With fire comes smoke and then water and before you know it, you are found in a situation of wondering whether or not you will ever be able to return back home. The important thing is to make it out alive. It’s also vital to get ahold of your insurance agency. But when the firefighters put out the flames, it’s imperative to have a fire restoration company by your side. Before the fire and smoke clean up and repair begins, the extent of the damage must be estimated. There is no doubt about that. After all, not all situations are the same. 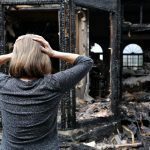 It’s important for you to know whether the fire has completely destroyed the structure or not and thus whether you will need a complete home restoration or not. When firefighters put out the fire, water is left behind. 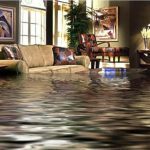 Removing water from the house is extremely important. Drying the area is the next most important step. The concern here is to stop the possible buildup of mold. Most of your belongings will be burned and soaked wet by now and so it’s a question of how many of them can be saved. But the ones you will keep along with the structural elements, like floors, frames, walls etc. – must be free of moisture and soot. If moisture remains for an extensive period of time, it will only do great harm. Apart from the musty smell, mold infestation is highly possible. 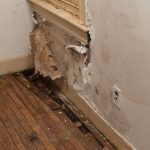 To avoid extra problems, you need to find a company with expertise in the full remediation of the fire damage and this will include water and possibly mold removal too. The fire starts the damage and the smoke finishes it. No words can stretch enough the importance of getting a quick fire & smoke damage restoration service. What the fire burns comes to haunt you for a considerable amount of time through the smoke odor and soot damage. And neither is easy to remove. The significance of a complete smoke and soot removal and cleanup is high. Even if the fire is quickly controlled and hasn’t spread, the soot and the smoke odor will still be there and will linger in your home for a long time. 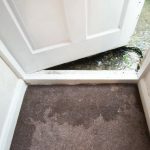 By having both cleaned up in a professional way, the problem will be easier to control and handle over the period of the next months – that’s with good ventilation and extra cleaning. • It’s important to get a good and quick estimate of the fire damage and document all the papers involved in the process should you need it for your insurance. • If the fire damage is extensive, the structure might not be safe for you. A company will examine the odds so that you will know whether you can walk back in the house without fearing about your safety. This will also determine whether or not you will need complete buildup & repair services. • Fire leaves behind smoke and soot and are both dangerous to your health while they can cause extra damage to your belongings. The smell doesn’t go away easily unless it’s professionally removed in the first place. • The firewater must be removed quickly so that moisture will be easier controlled while the place must be completely dried for the avoidance of mold buildup. 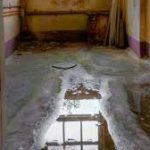 These are all important reasons for getting ahold of specialists for the fire, soot, water and smoke damage remediation. But don’t forget that dealing with the aftermath of a fire is truly devastating for you. A professional company will help you throughout the process and when you will be too stressed to deal with such an ordeal all alone.